A long time ago a trip to London’s glittering soho used to mean luminous cocktails named after popstars and wristbands for free entry to Heaven. These days if I find myself in that part of town it invariably means I’m seeking out a noodles. 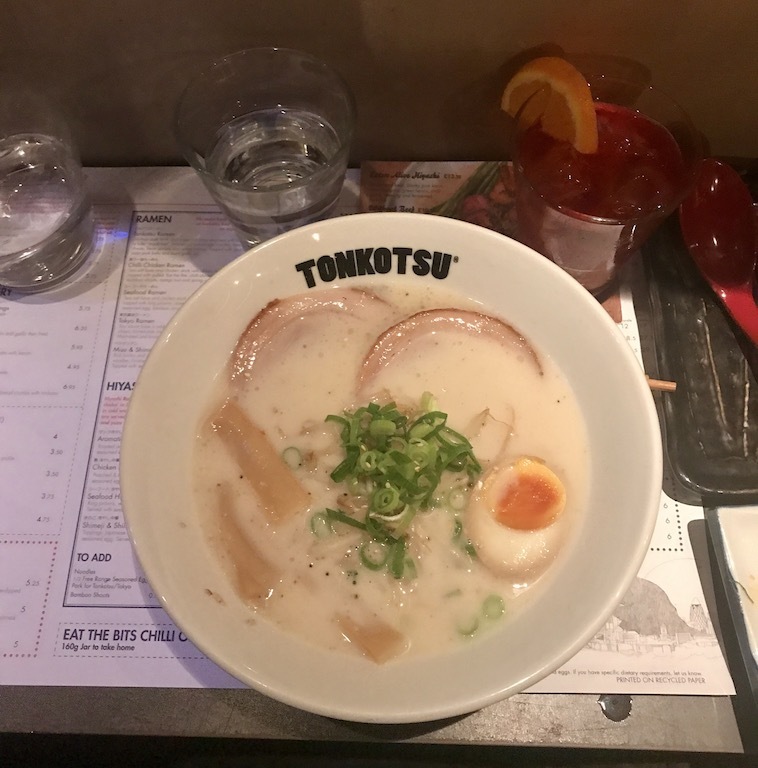 Tonkotsu is a place I have walked past loads, but only just gotten around to visiting. From the outset the signs were good: no empty seats when we arrived and windows fogged up by ramen steam. They’re also the proud as punch about their made-in-store noodles. 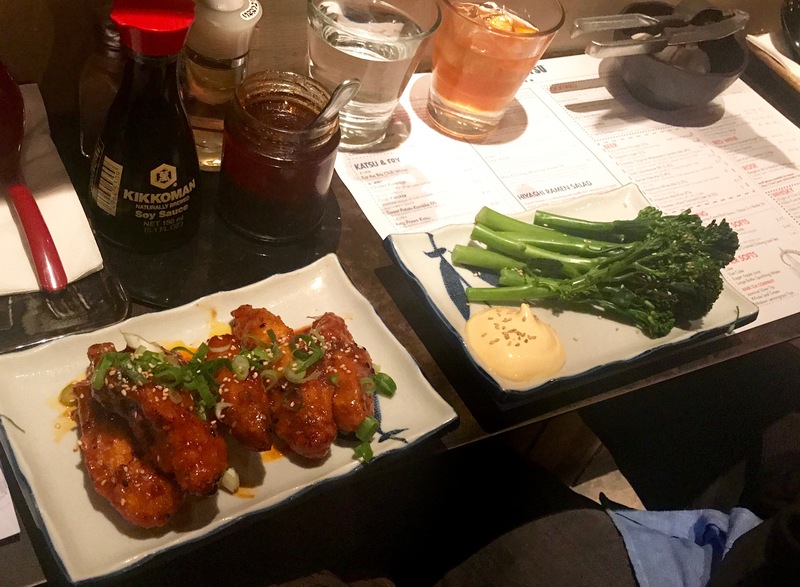 Weplumped for the ‘eat the bits chilli wings’, steamed brocolli with Japanese mayonnaise and the signature Tonkotsu ramen. (One of the many motto’s which guide me is that you should always sample dishes with the same name as the restaurant). The chicken wings were delicious. The chilli sauce was fantastic, not the punchy heat that I was expecting, more of a slow burn, lingering in your mouth. The ramen was ok. On the downside, the egg was too hard and the pork chewy, to the point where Adam left his. But on the upside the broth was silky-smooth and salty, and the bamboo shoots were incredible – tiny little sponges which had soaked up the broth. I think I’d probably built Tonkotsu up in my head. They have a great menu, and it’s got a modern yet really authentic vibe. If only the food had been cooked to perfection, it would be up there in the leaderboard. As it is, with regret, I award it a RAMEN (2 out of 5). Oh, and check it out…I now have a leaderboard, I just need to work out how to hyperlink the entries to the blog posts. That that can be a project for another time!